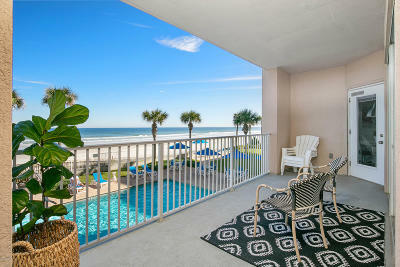 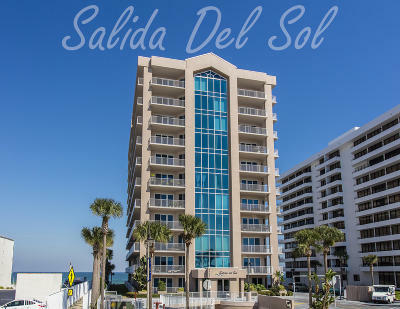 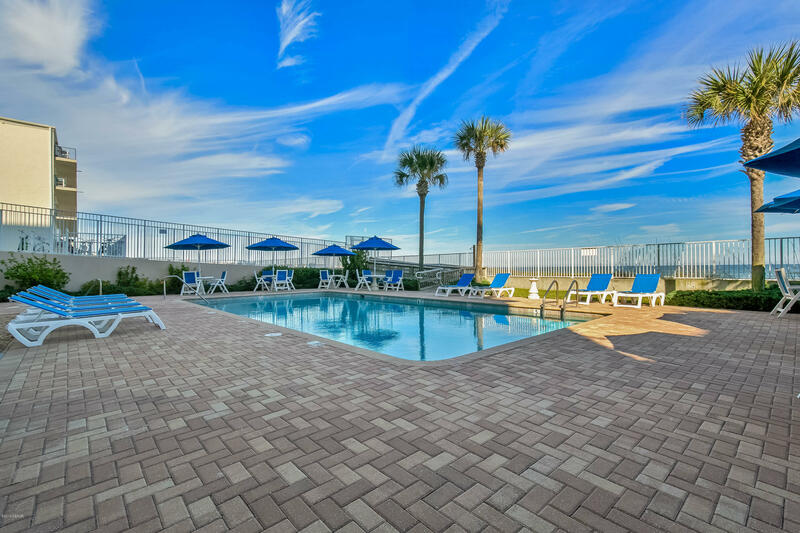 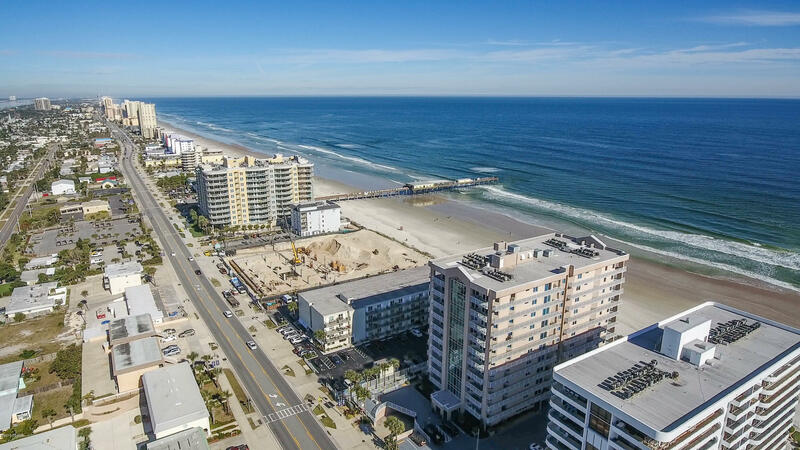 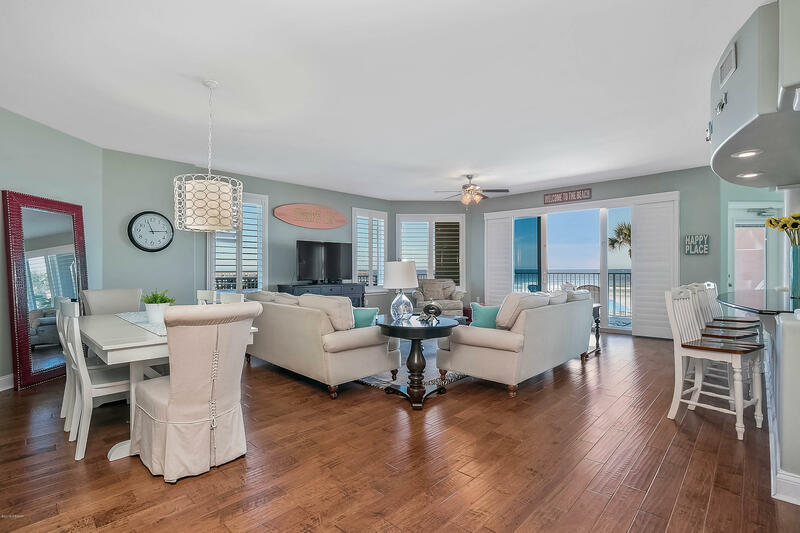 **ALL BEDROOMS HAVE OCEAN VIEW** First floor oceanfront opulence awaits from this stunning Salida Del Sol condo that is situated just steps from the traffic-free sands of Daytona Beach Shores. 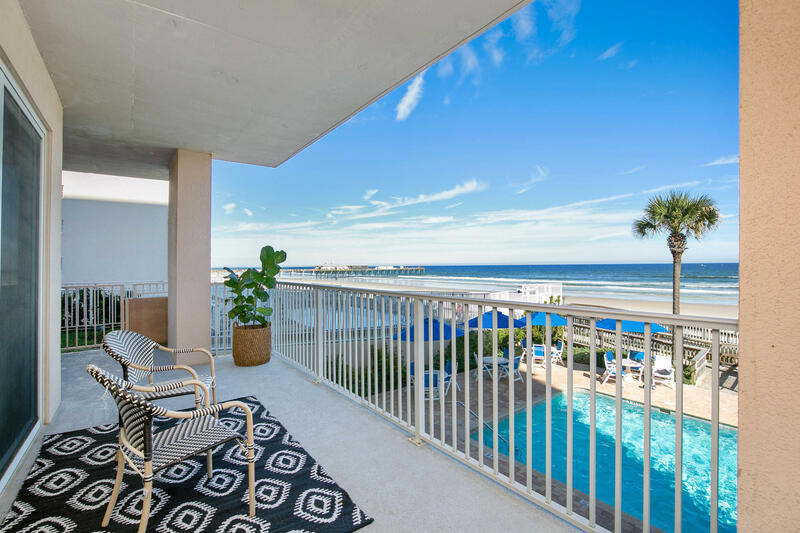 Postcard-worthy panoramas of the brilliant blue Atlantic coastline set your daily scene from this luxurious and spacious beach retreat. 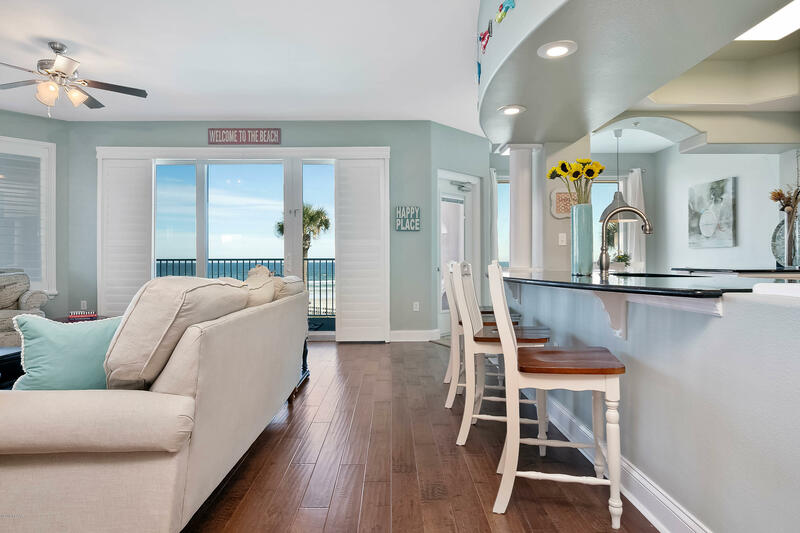 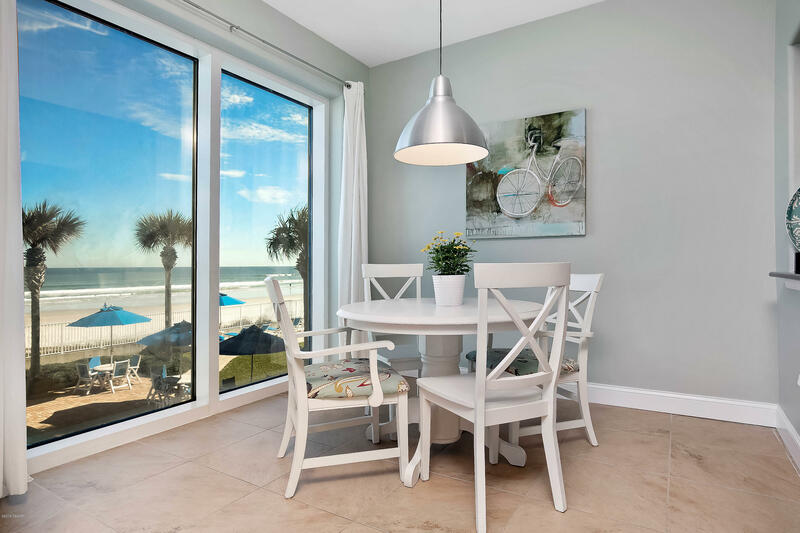 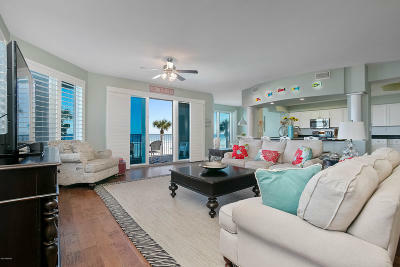 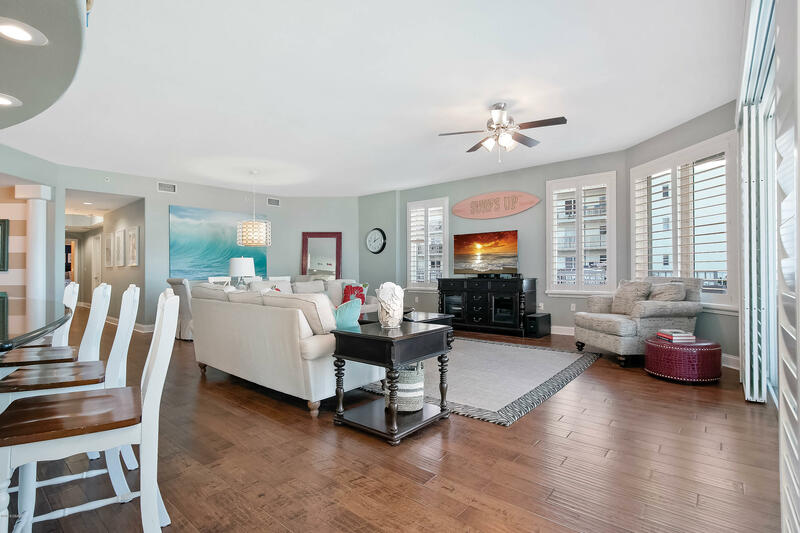 Volume ceilings and an abundance of windows allow the Florida sun to brighten every corner of this well-adorned space or you can enjoy the warm rays and ocean breeze from a sprawling, wrap-around balcony. 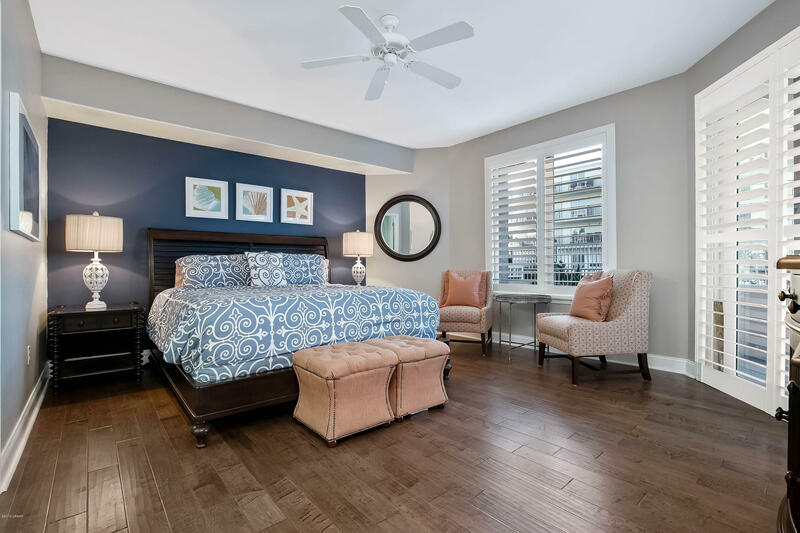 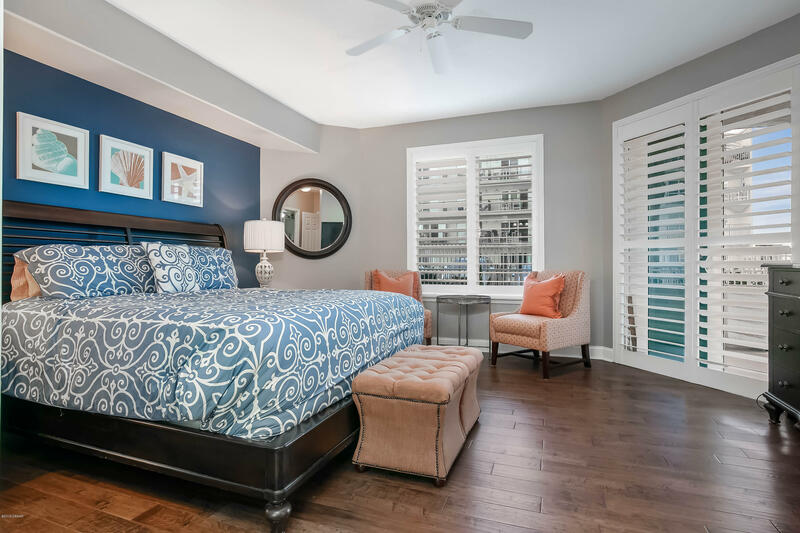 Hand scraped cider maple wood and tile flooring stretch throughout all of the living areas and bedrooms, with gorgeous plantation shutters, and upgraded light fixtures at every turn. 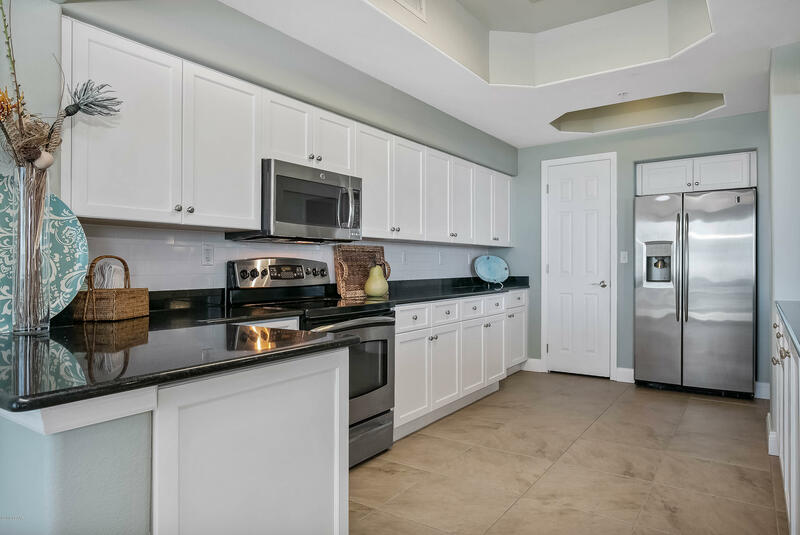 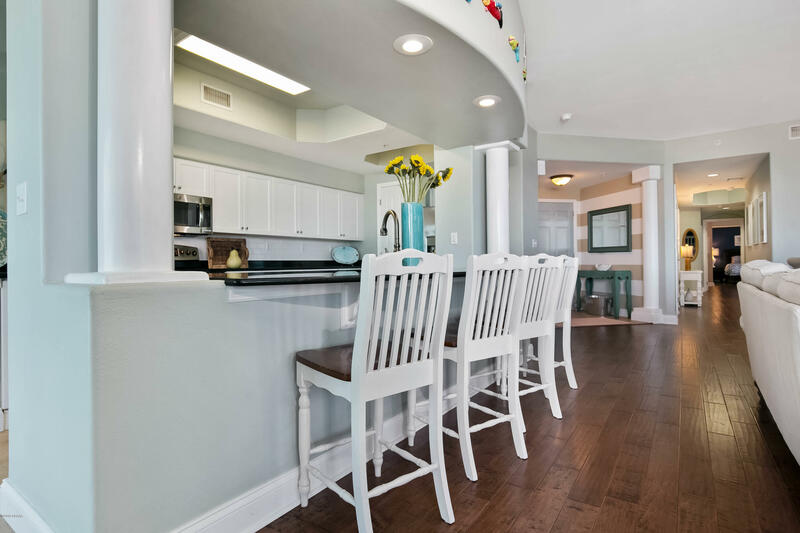 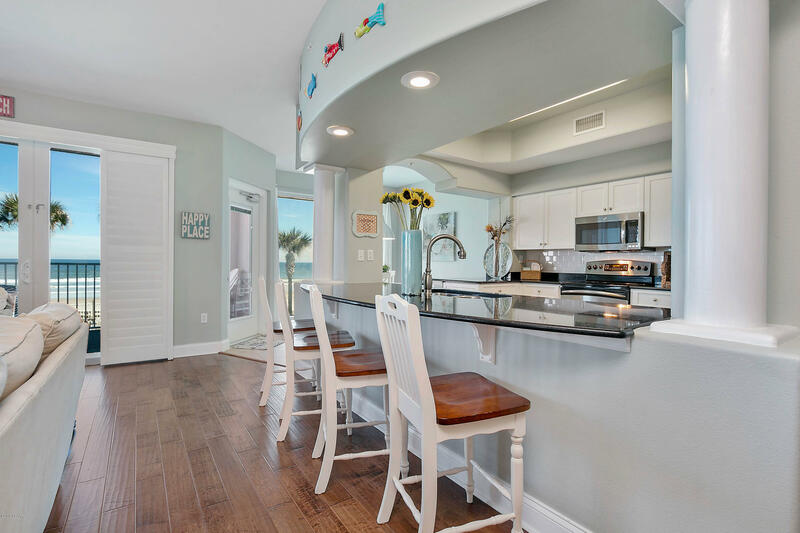 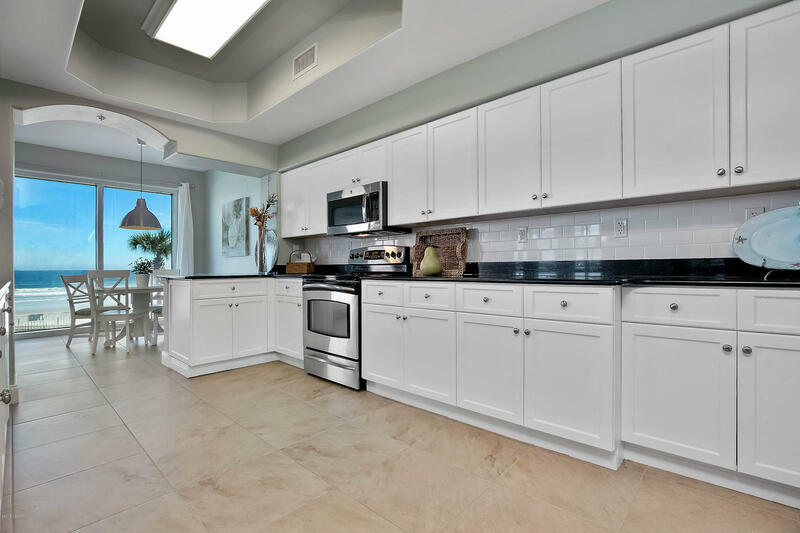 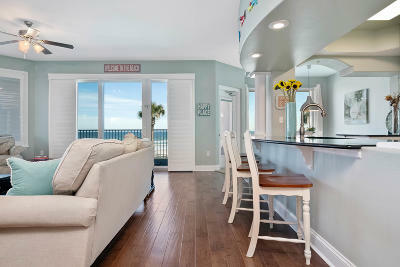 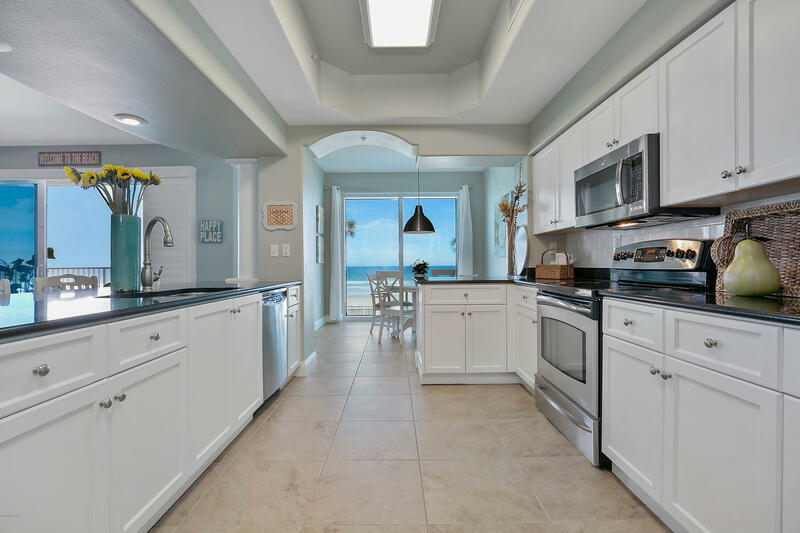 The chef of the family will delight over the ocean scenes from the gourmet kitchen which features ample cabinetry, granite counters, stainless appliances and a cozy oceanfront nook. 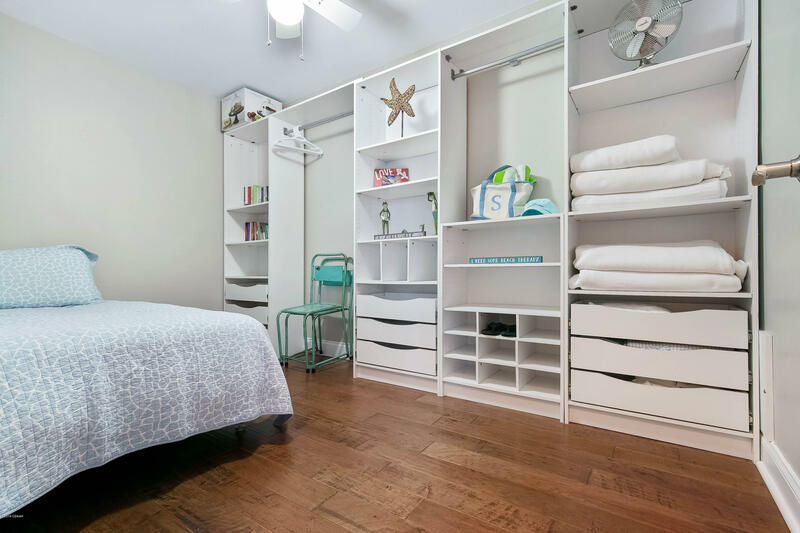 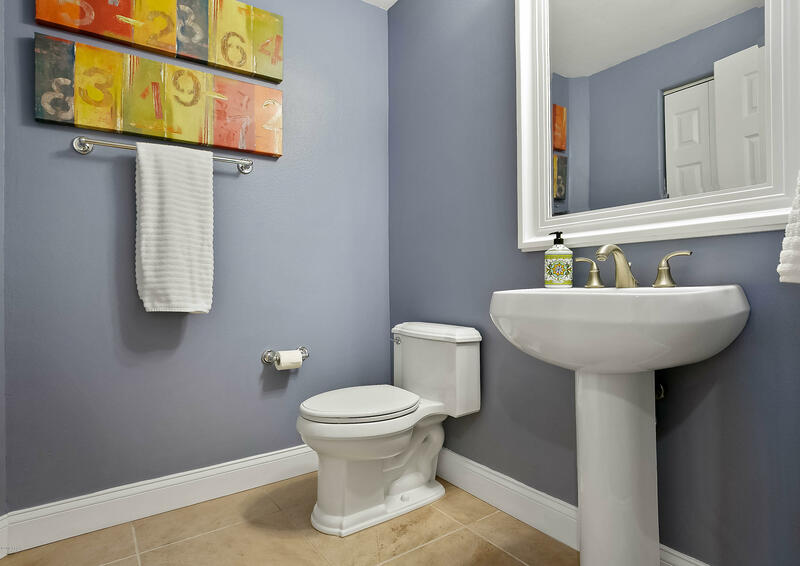 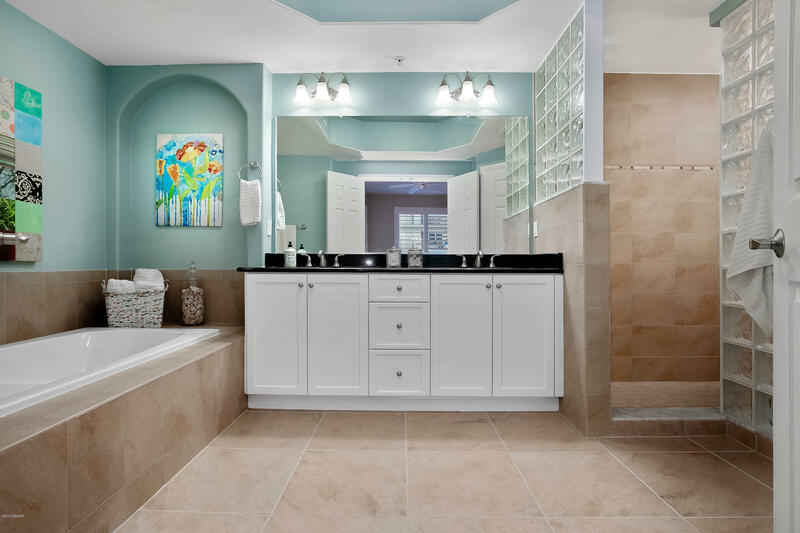 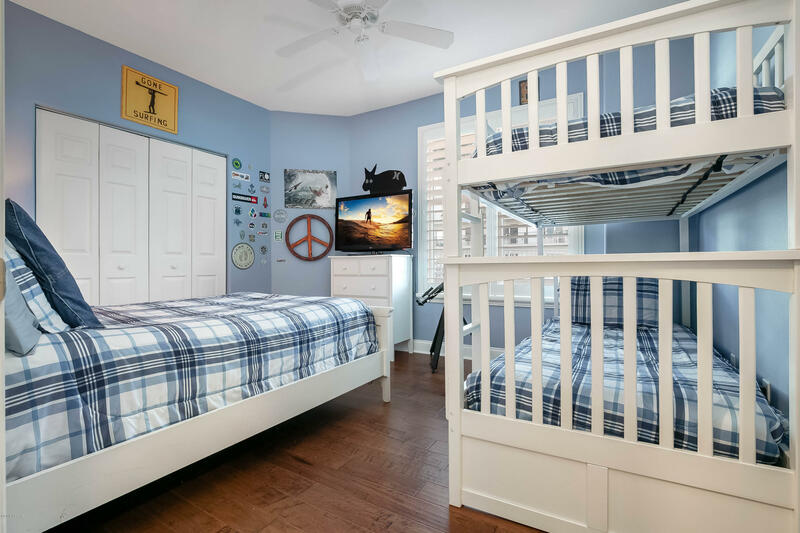 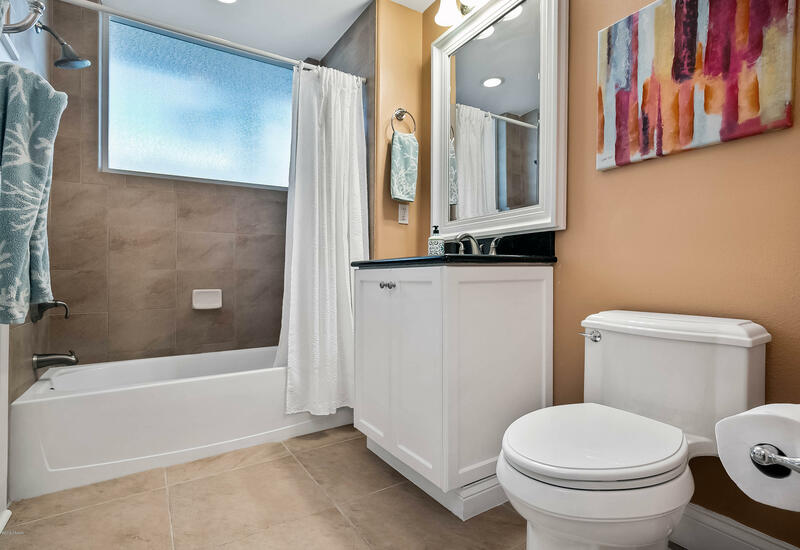 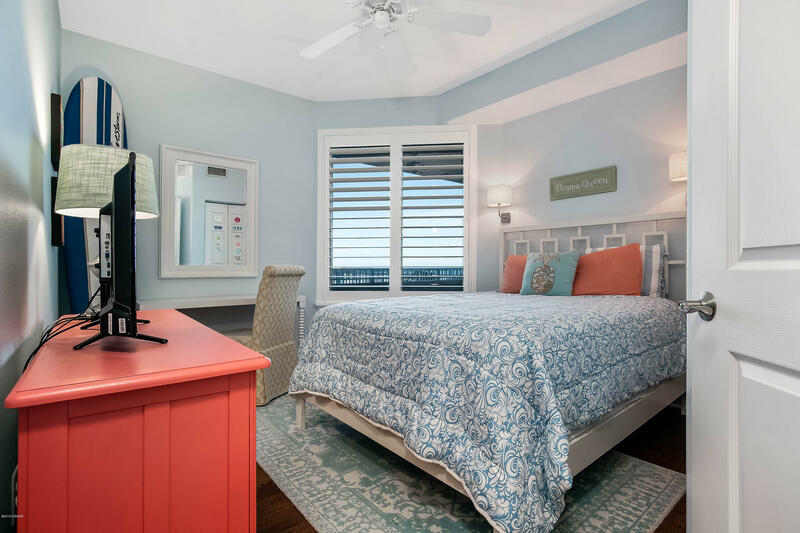 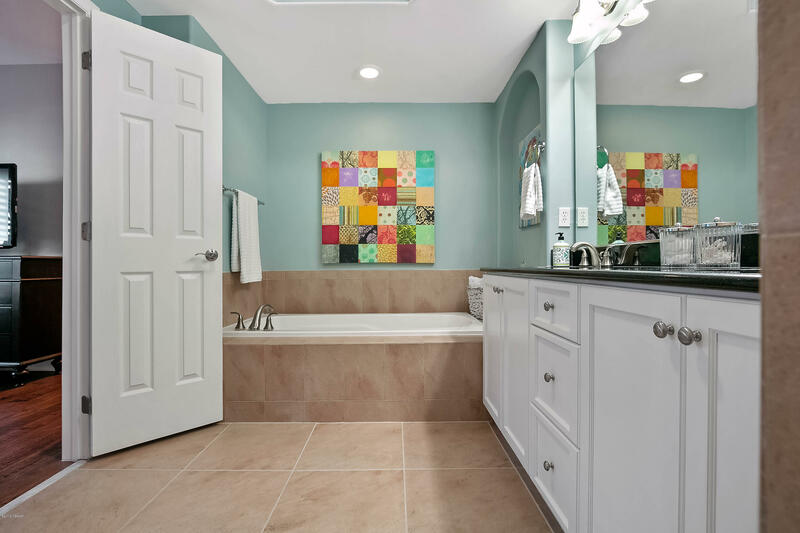 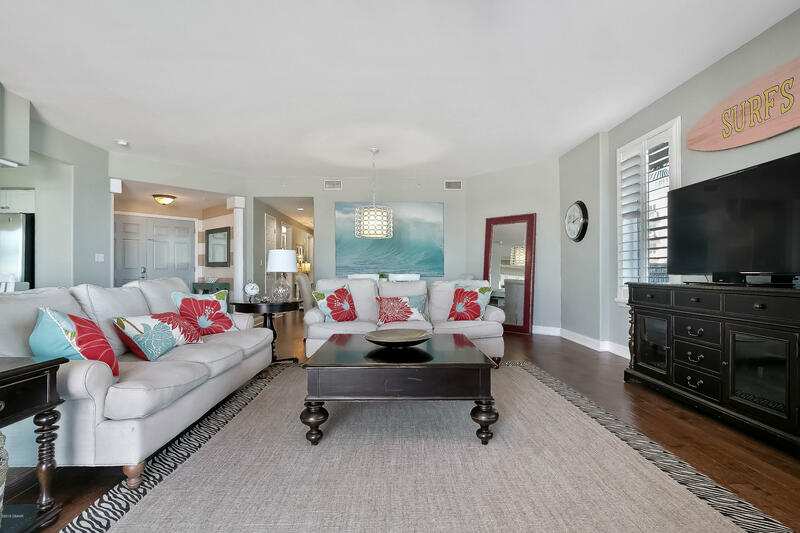 All bedrooms have an ocean view while the master suite provides a spacious living area, with a dual-sink vanity and jetted tub found in the master bath. 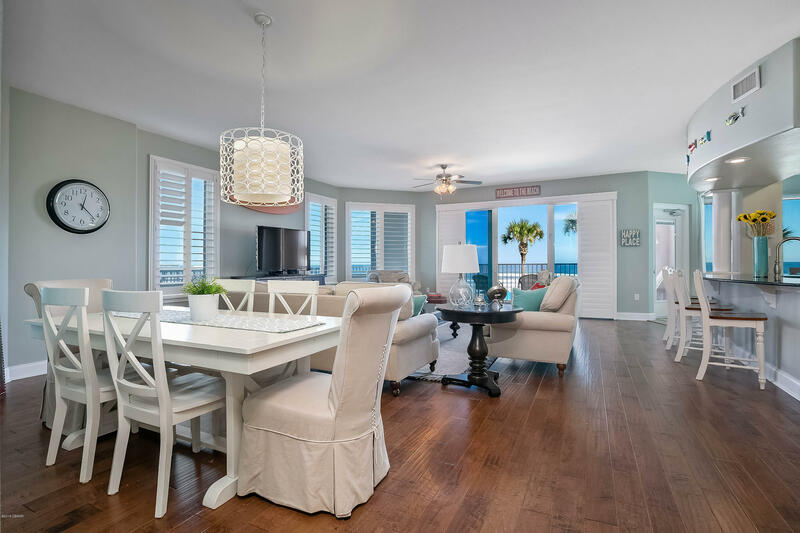 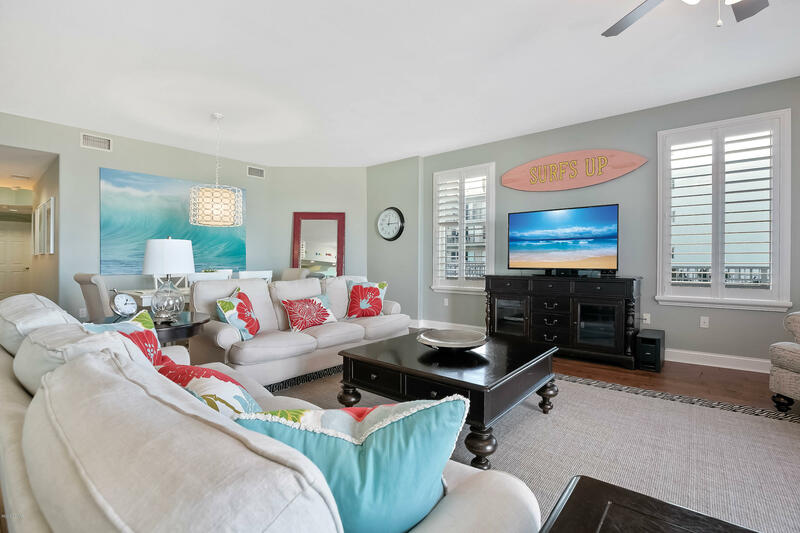 Salida Del Sol offers private and peaceful, boutique-style living on the beach with just 43 residences to share the wealth of community amenities. 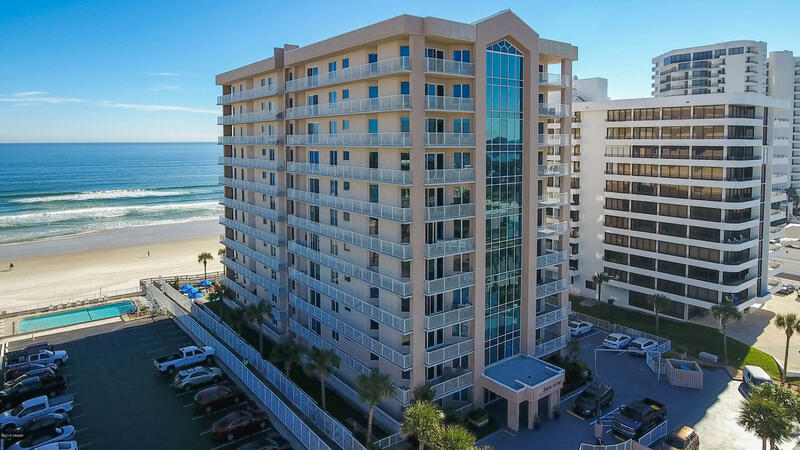 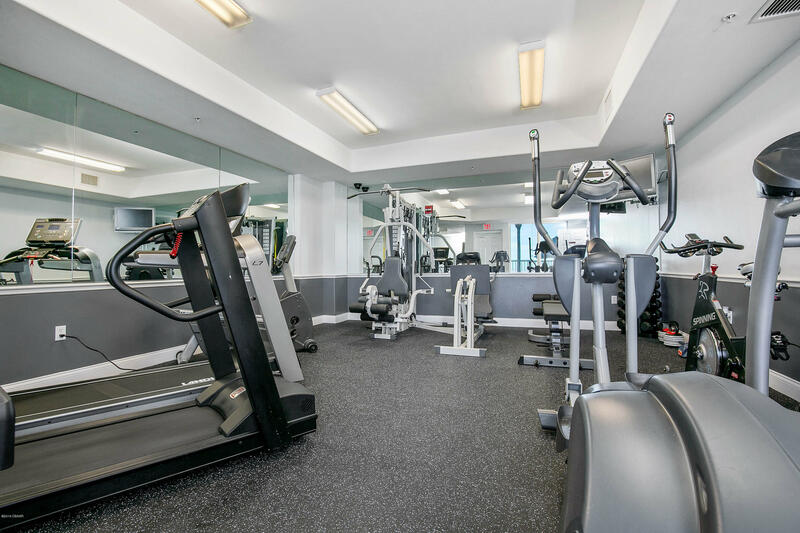 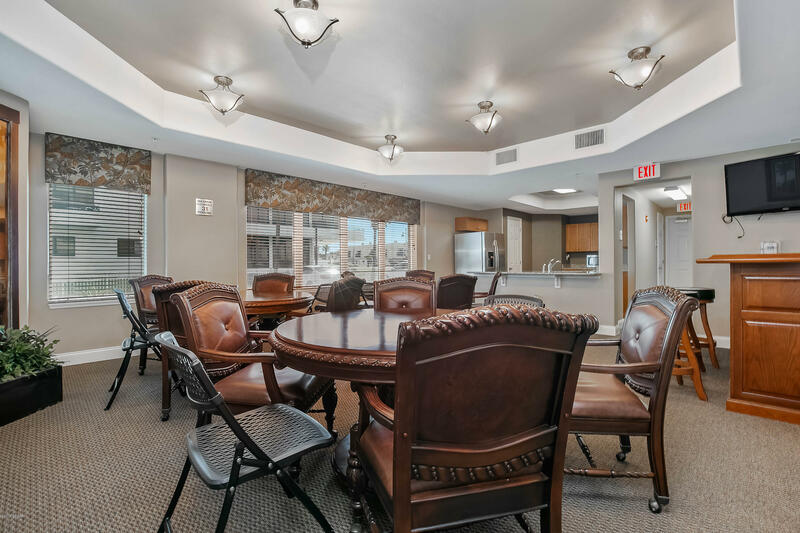 This condo has ample guest parking, tons of storage, and is dog-friendly. 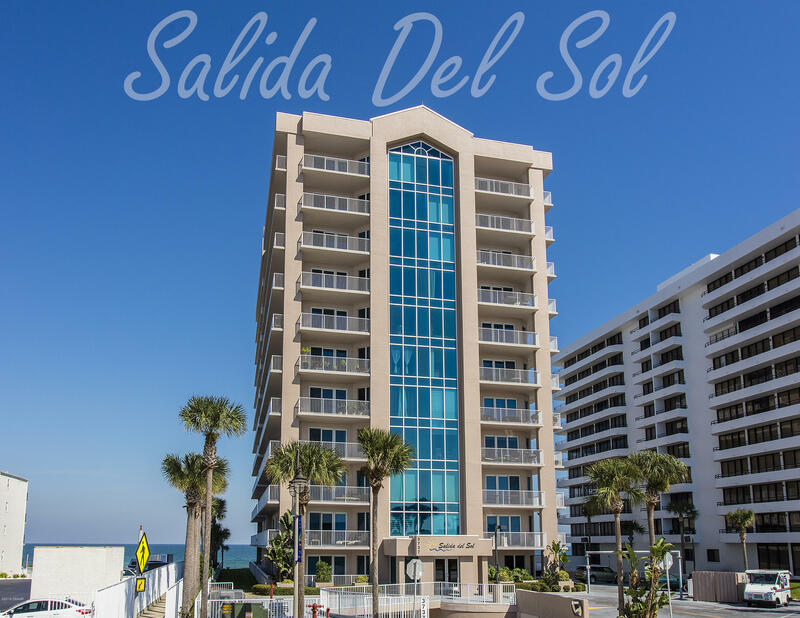 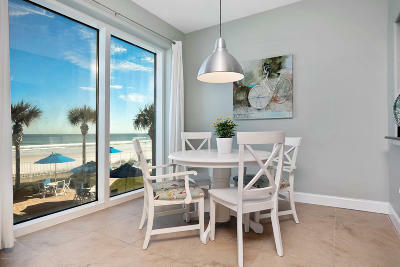 Don't miss out on this beachfront beauty at Salida Del Sol.